A new whistleblower has now emerged from inside a Russian state media organisation. This time it is Leonid Krivenkov, a former camera operator on the state TV channel Rossiya 24, who in an interview tells RFE/RL about how the propaganda output is managed by his ex-employer. 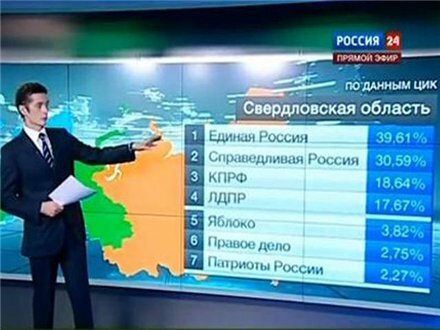 In the Russian region Sverdlovsk Oblast, Rossiya 24 presented an election result just above 115%. 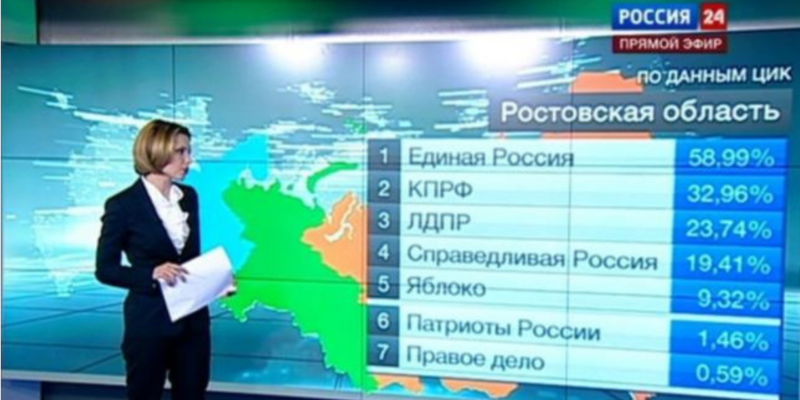 “The instruction came to Rossia-24 from the Kremlin stating what percentage to show for [the pro-Kremlin party] United Russia”, Mr. Krivenkov told RFE/RL. “The editor asked, ‘And what about the other parties?’ The answer came: ‘Just show whatever they got.’ The editor wasn’t going to argue with them. 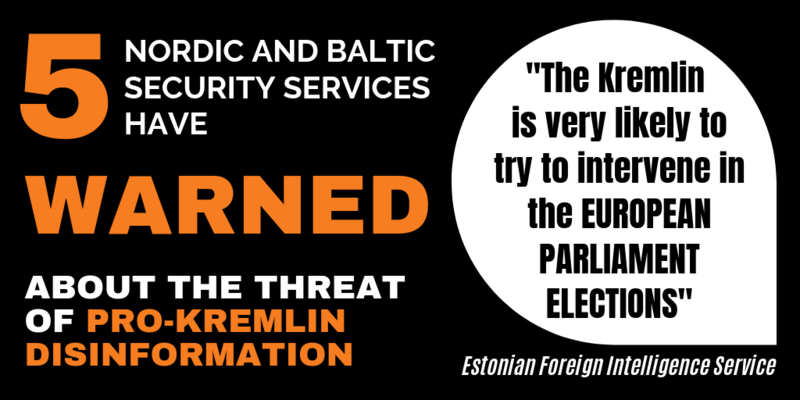 After all, the Kremlin knows best. So she did exactly as she was told. And that’s how you get 146 percent”. In the interview the former camera operator also explains how many employees at the state TV channel are fully aware of their lying and even joke about it, for example by saying, “your turn to lie” on the internal communication channels before switching over to a colleague. 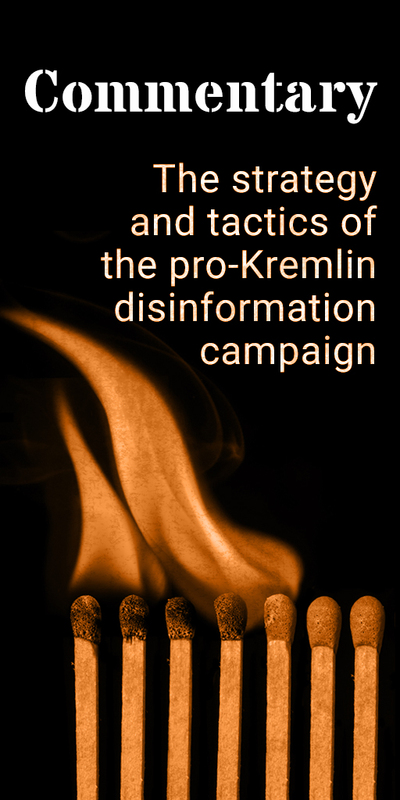 Leonid Krivenkov’s testimony echoes similar stories told by previous whistle blowers, notably that of Dmitry Skorobutov, who revealed details about Kremlin control on Rossiya 1, including written versions of the so-called “temniki” guidelines used by editors to not cross the red lines. In February 2018, Russian state TV showed what it claimed was battle scenes from Syria. But the footage was taken from the computer game “Arma 3”.